Ralph Sneyd died in December 1949 and within a year the nephew who succeeded him also died, and the estate had to be sold to pay the Estate Duties. 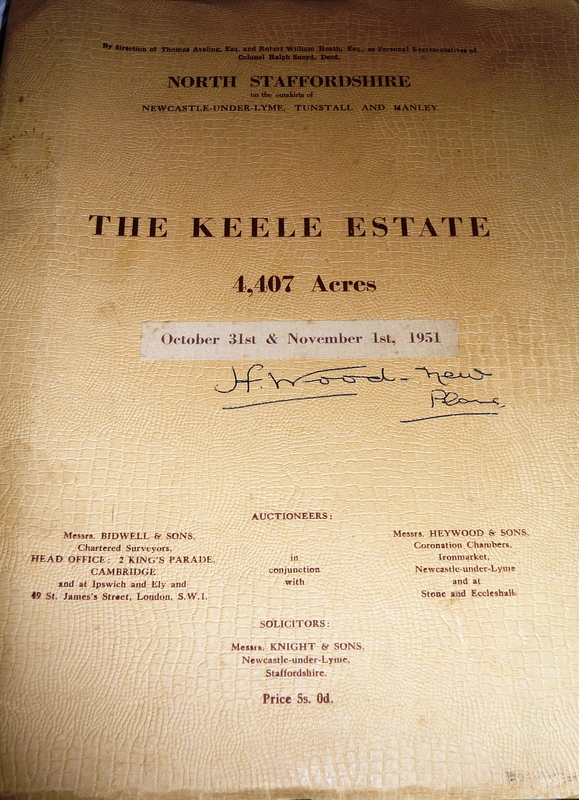 The Keele estate, which at that time was comprised of 4,407 acres was sold by auction in 1951. Athough much of the land and property was in Keele parish, there was also land in Silverdale and other parts of the Potteries, one area of which is called Sneyd Green. At the sale the University college took the opportunity to enlarge the campus by buying the house and area known as The Hawthorns. The Hall of Residence built on this site bears the same name. More importantly for the villagers nearly all the properties were sold to the tenants. Rumour has it that the auctioneer may have “missed” bids from other parties, but at last those who lived in the village and had made their home here, now had some security. With the tenants becoming owners they had an interest in improving their homes and the services infrastructure soon improved with running water and drains being supplied to most houses.